In Madeira, like in other parts of the world, marine mammals have passed from being a hunting resource to a (eco)tourism resource. In the Whale Museum you’ll learn all about Madeira’s past as a whaling island. 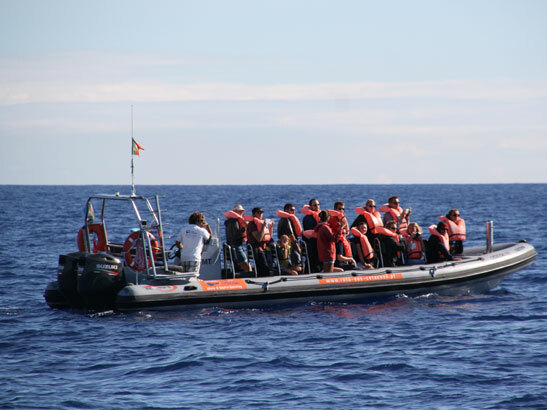 The maritime region of Madeira Island is actually one of the best whale-watching sites in the Atlantic Ocean. 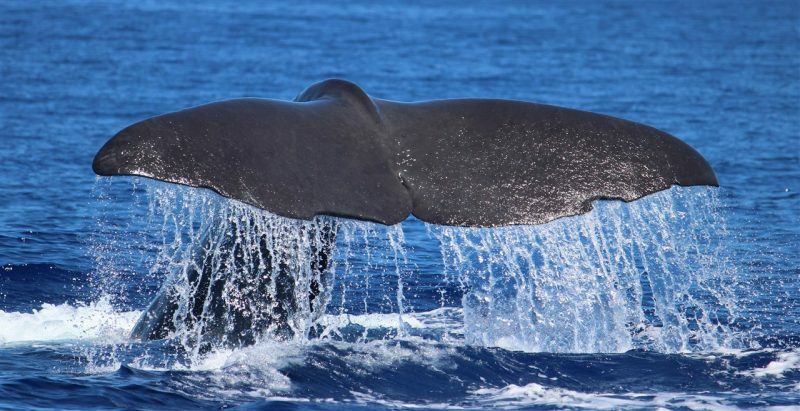 Whether you opt for a comfortable whale-watching catamaran, a boat or a zodiac excursion, you are almost guaranteed an extraordinary and exciting experience. 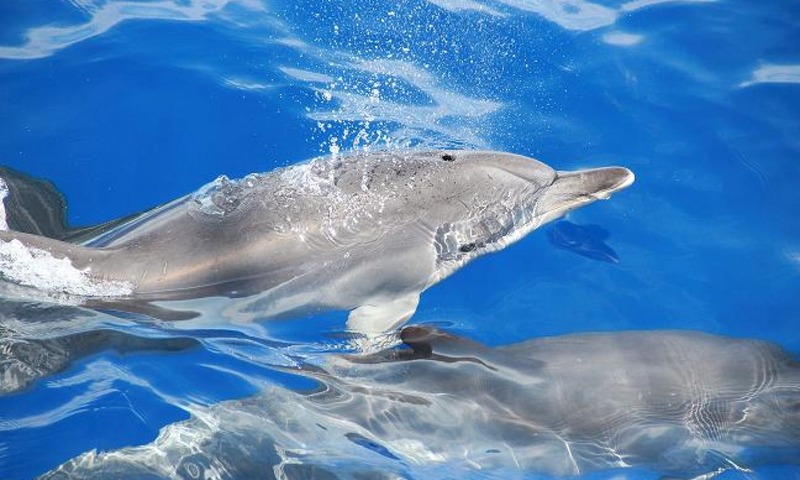 All year around, up to 28 species of whales and dolphins (33% of all known cetacean species in the world) swim in the salty waters around the Madeira Archipelago. Is the viewing responsible and ethical? Is a marine biologist on board? Does the company have spotters on the mainland? Are you robust to motion/sea sickness? Do you want to be allowed to see and hear the wildlife under water (with goggles and a tuba)? Do you want a fail-safe guarantee in case of no mammal spotting? Most tours leave from the Harbor of Funchal, from Calheta Harbor, or from Machico. The boat operators know the best places to find the sea mammals. Spotters often help finding the school of dolphins and whales from the mainland. The spotters guide the boats to the best sighting places of the moment. Furthermore, the operators usually make sure interactions are enjoyable and informative, as well as safe for both humans and mammals. Sighting cetaceans is likely, but can never be guaranteed. They are wild animals after all! However, one company promises a second ride for free if you don’t see one. Another company lets you purchase an “insurance” to reserve your seat on another outing. You will be hitting the open waters and motion sickness may arise. So, do not drink coffee / alcohol just before the boat trip and eat only a light meal or snack prior to embarking.